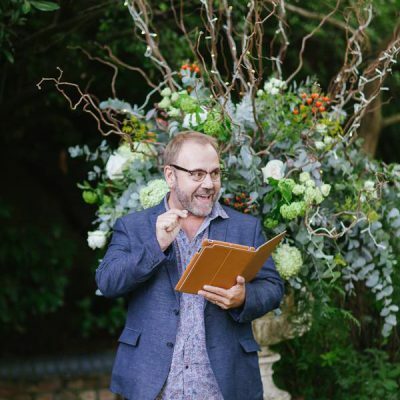 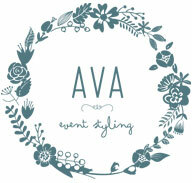 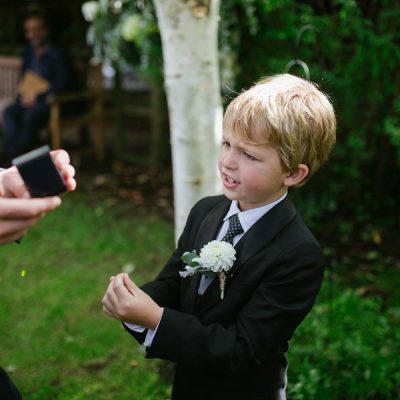 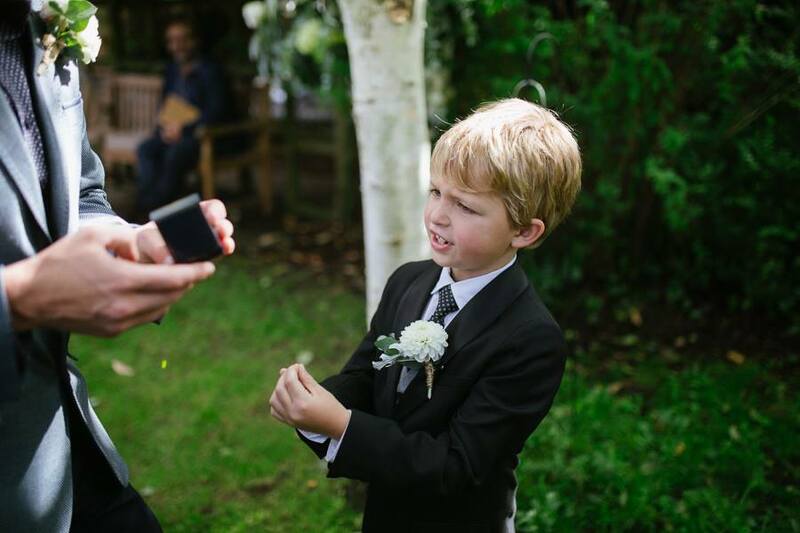 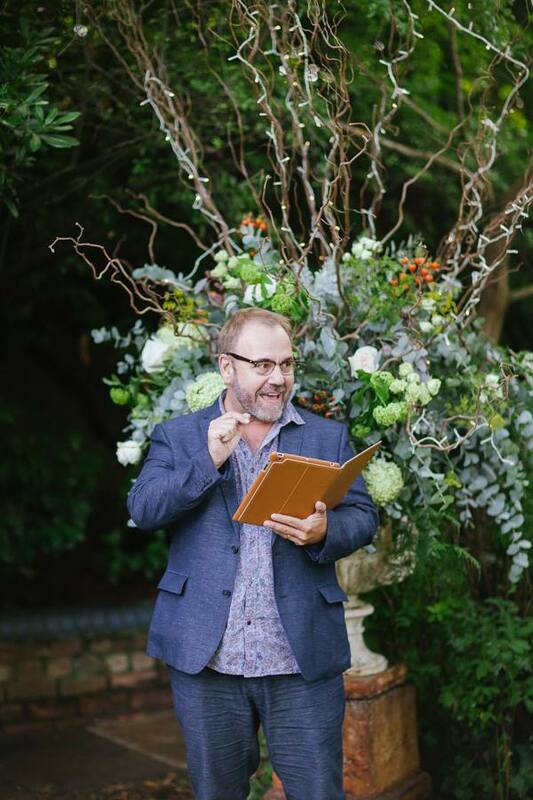 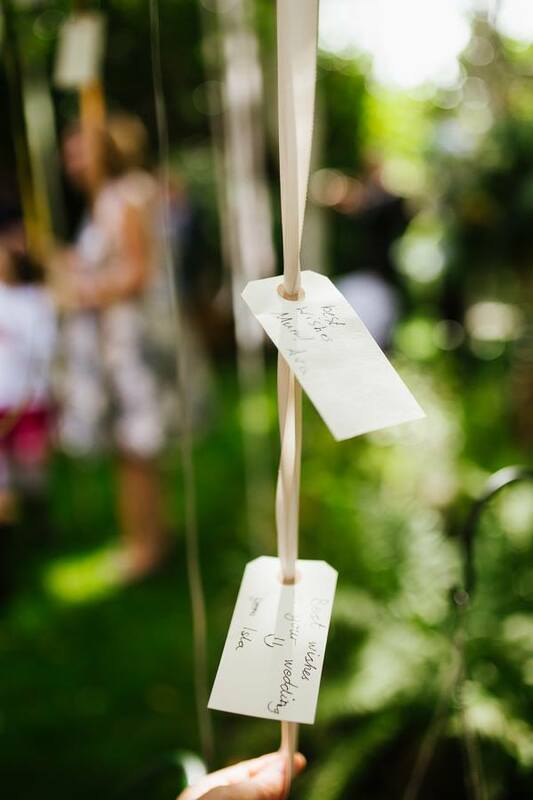 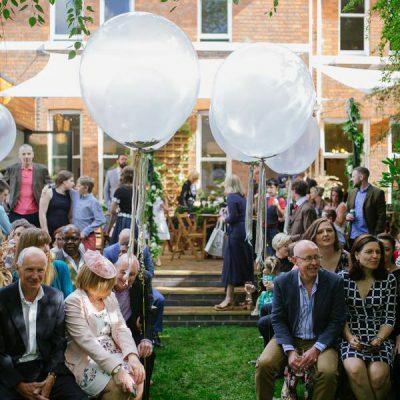 ‘Backyard weddings’ are quite a rarity in the UK, so it is always a fantastic experience to be asked to style one. 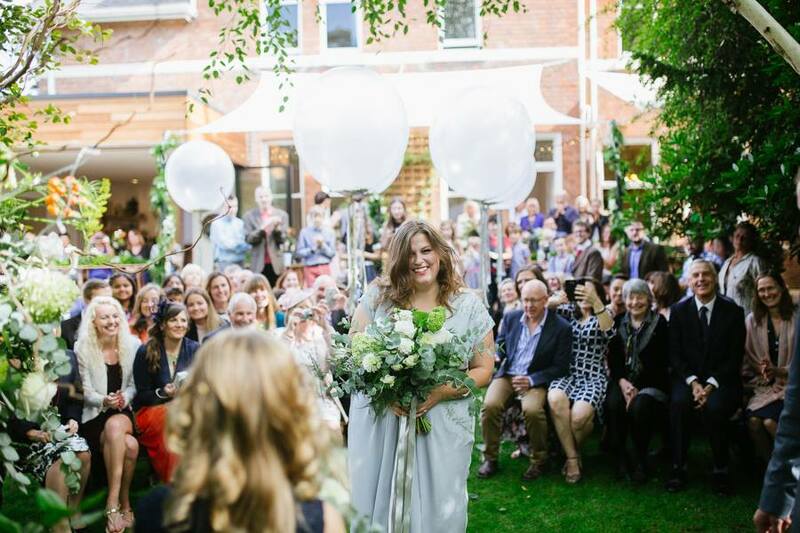 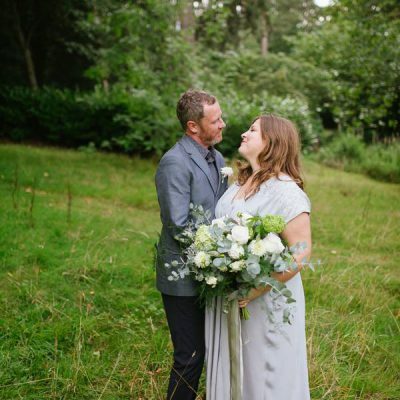 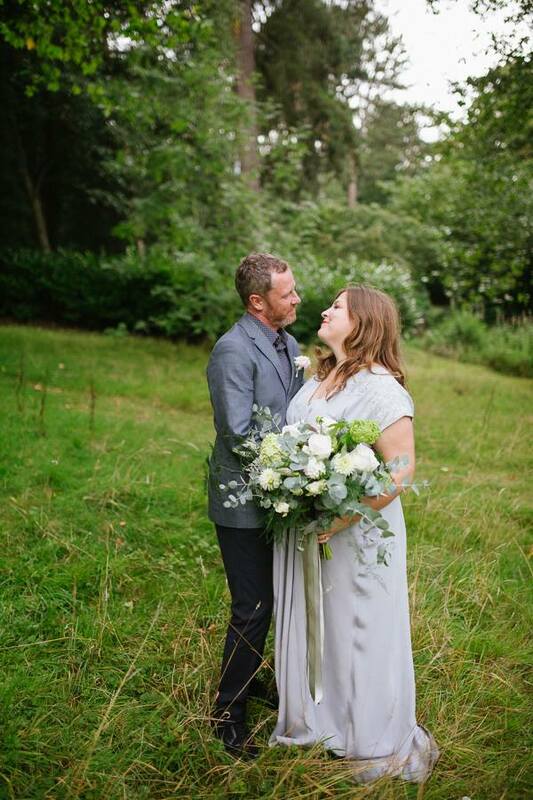 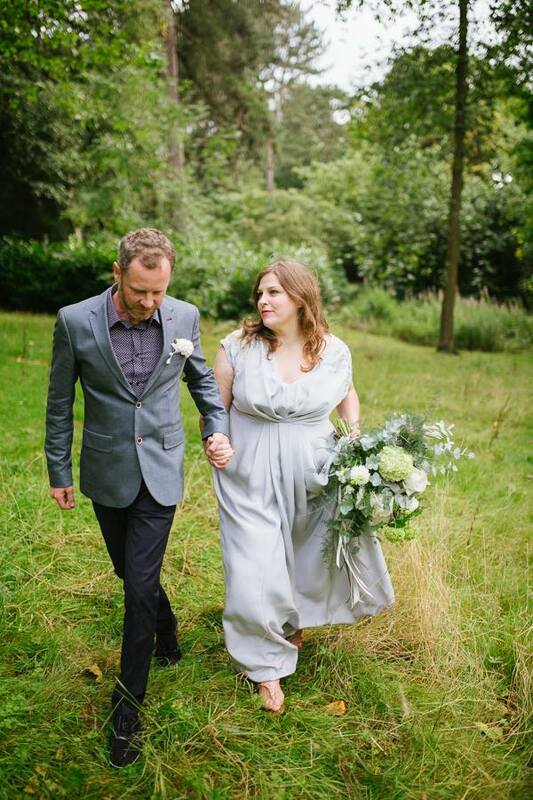 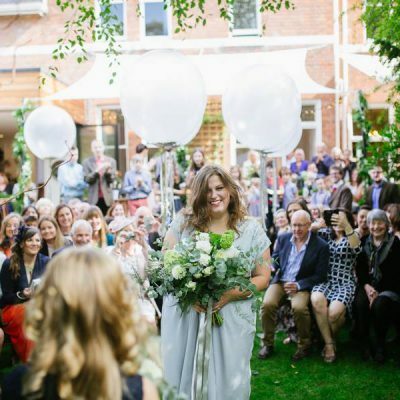 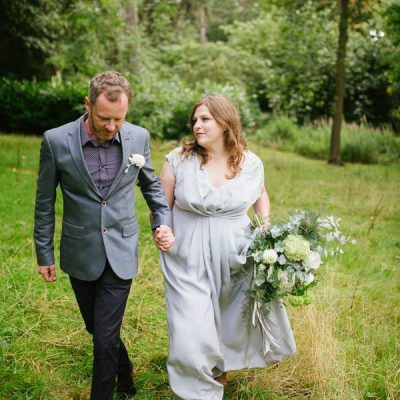 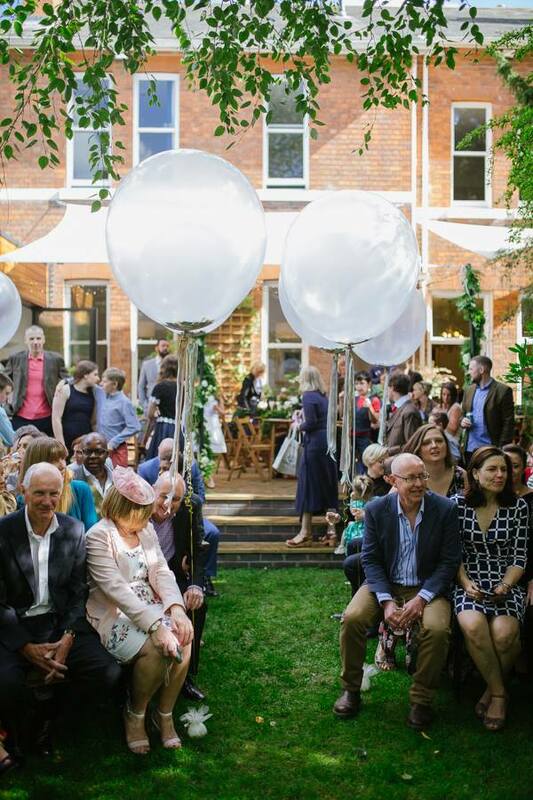 This particular wedding was at the bride’s parents’ fabulous home, in Birmingham. 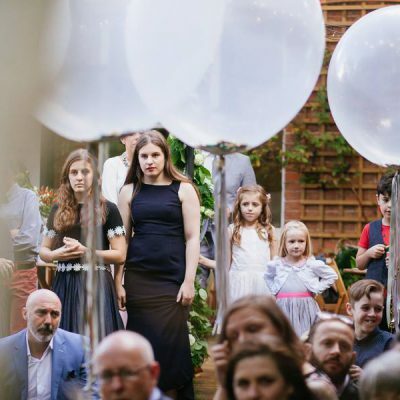 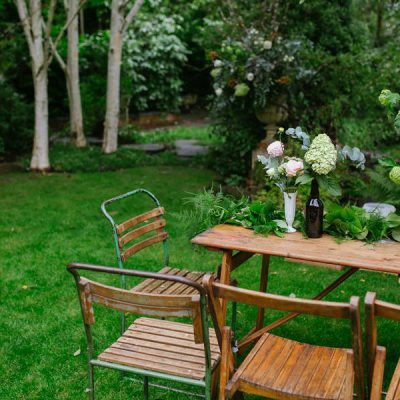 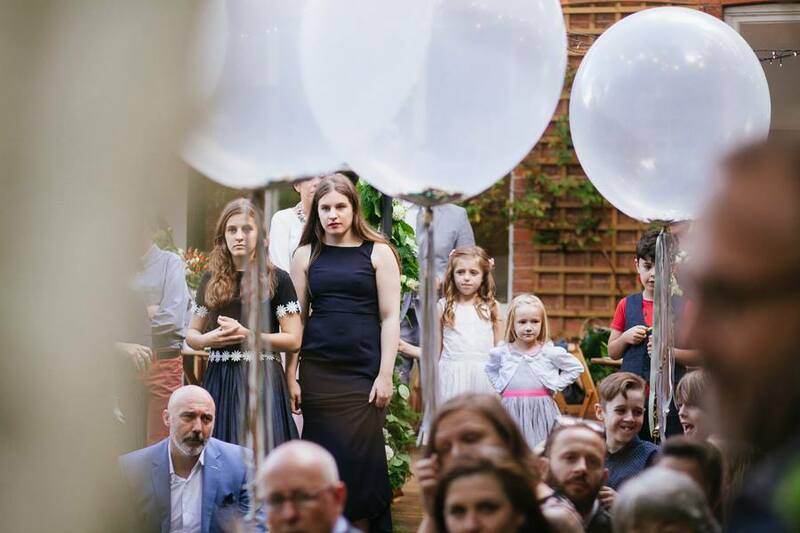 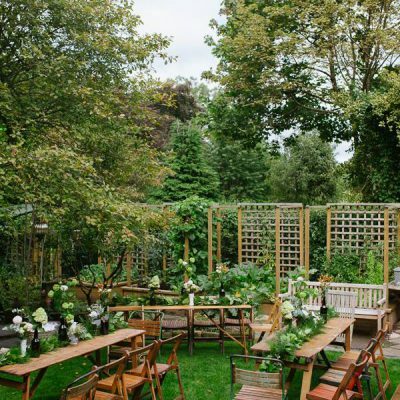 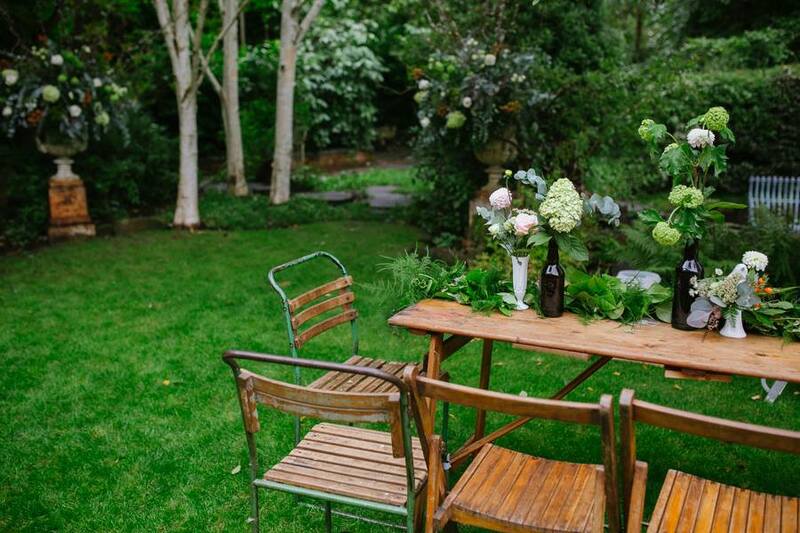 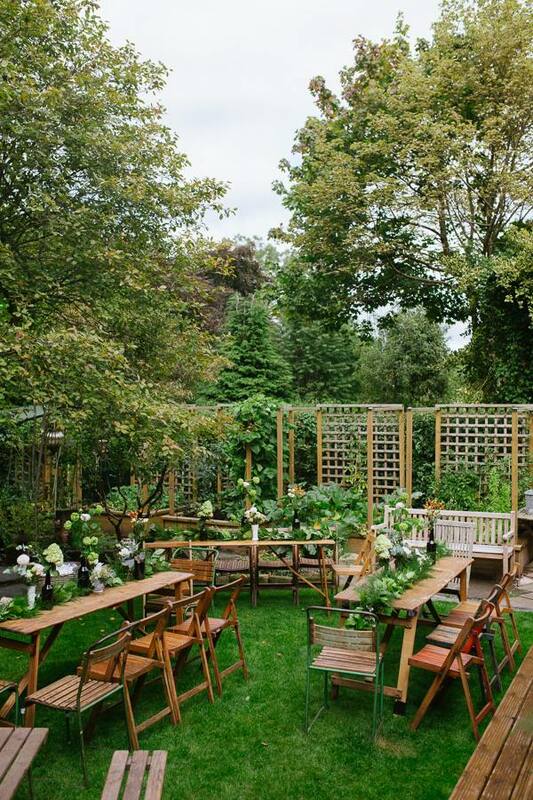 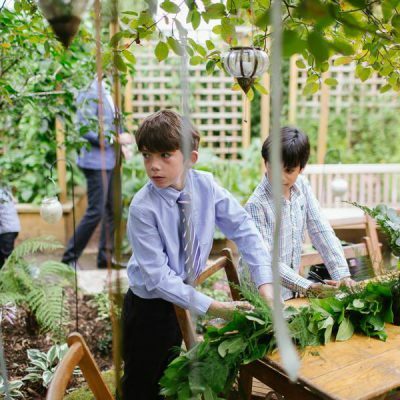 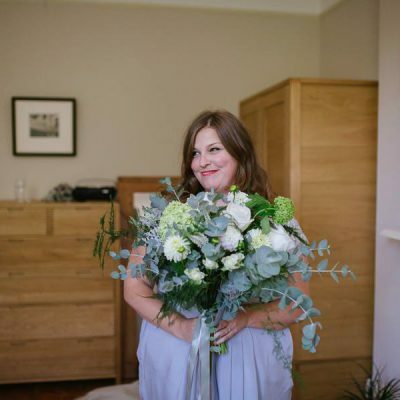 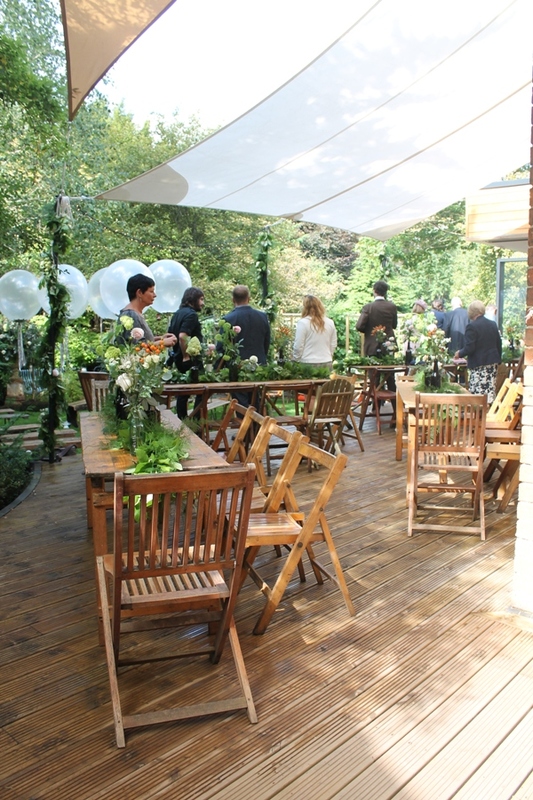 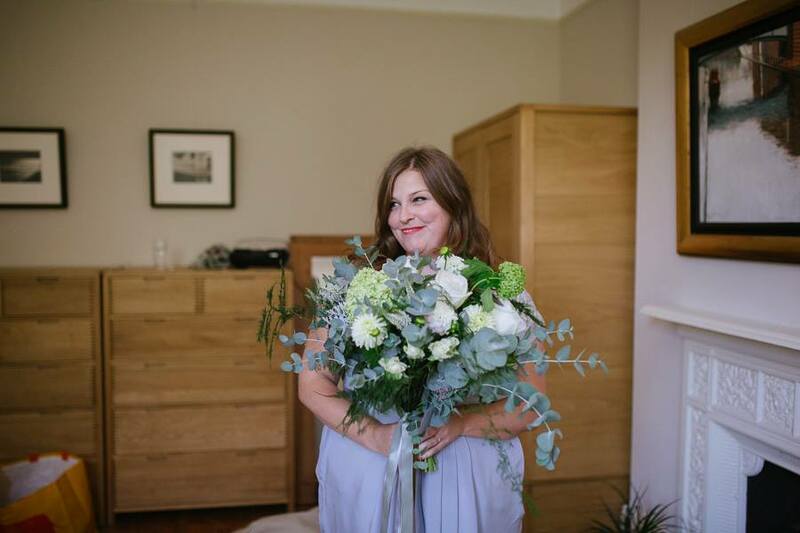 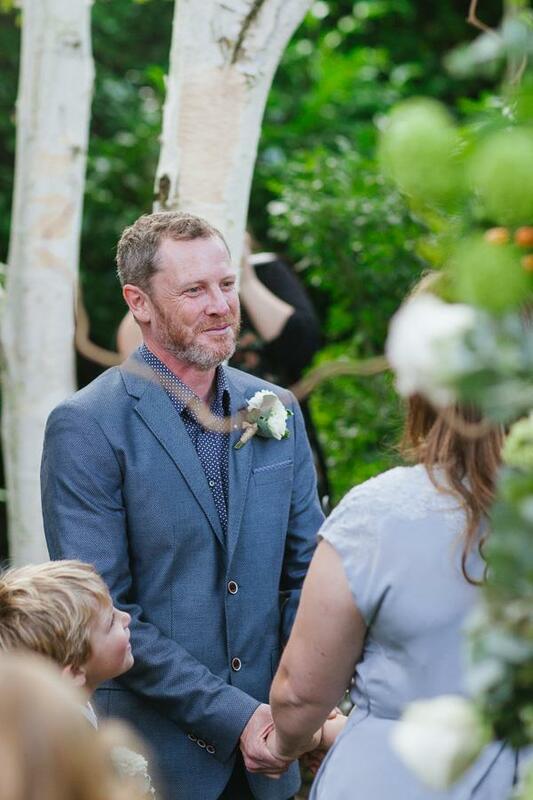 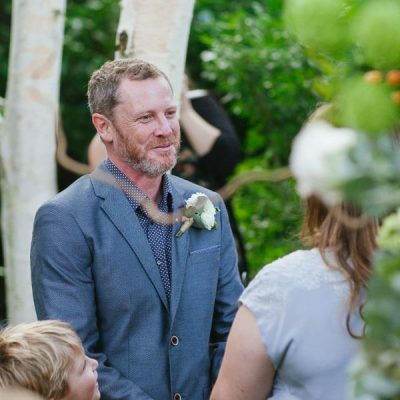 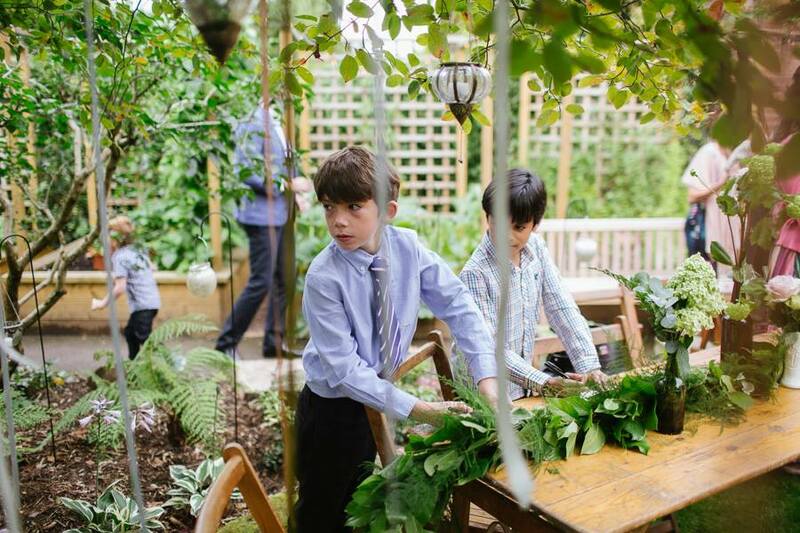 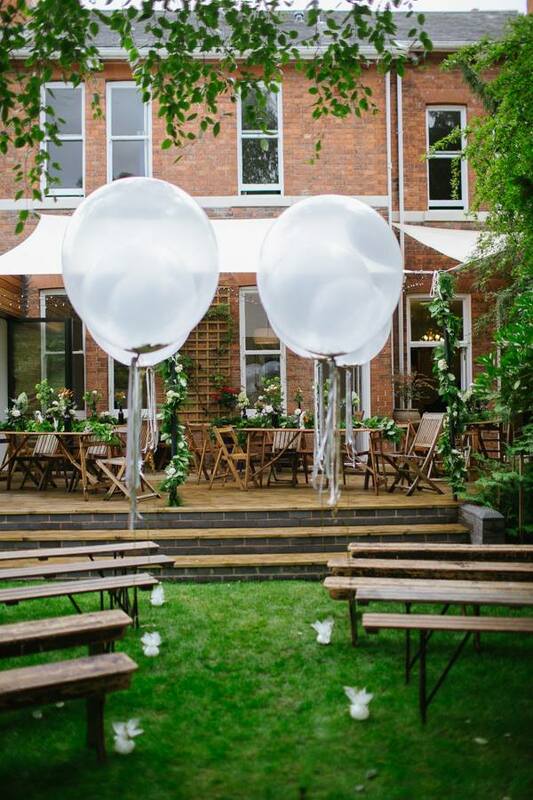 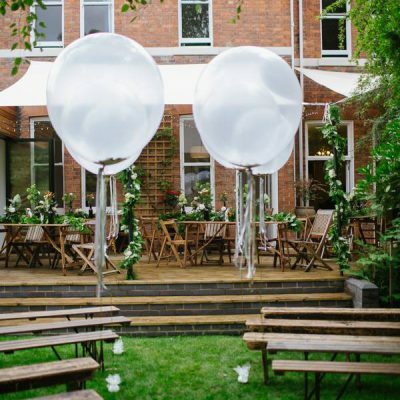 As we styled the garden, it really was all hands to the pump, as family and friends ensured that everything else was ready in time for the guests’ arrival. 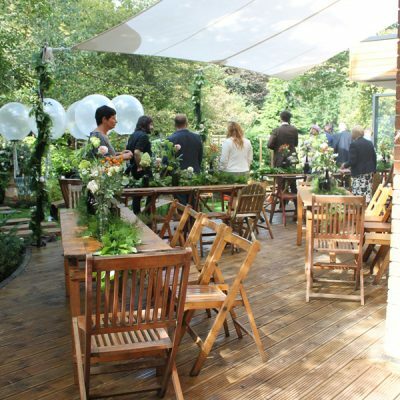 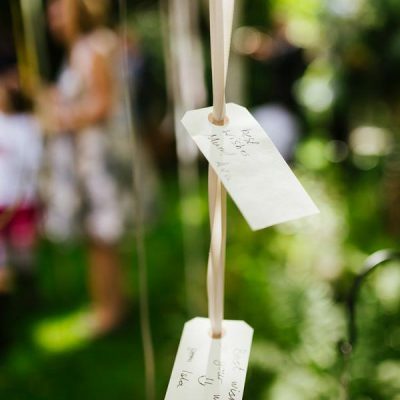 We made the most of every element of the garden and the deck area available to us: dressing the sail posts; filling the urns with twigs, lights and floral arrangements; transforming one large tree into a wish tree with hanging lanterns and creating an aisle for the bride at the base of the steps.